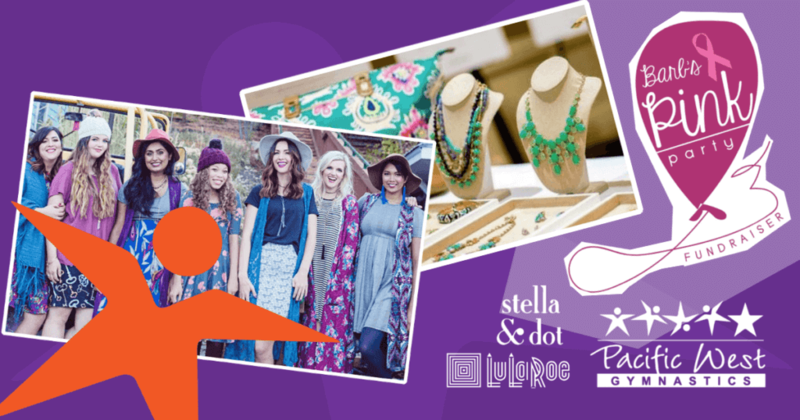 Erendira’s Stella & Dot and Teri’s LuLaRoe Pop Up Boutique are teaming up with us September 30th. Our mission, Barb’s Pink Party fundraising campaign! Shop the latest trends and give back at the same time. Twenty percent of all proceeds will be donated to Barb’s Pink Party campaign. All proceeds benefit HERS Breast Cancer Foundation. Barb’s Pink Party, a family oriented event and fundraiser in Memory of Barbara Nicholson. All proceeds are donated to HERS Breast Cancer Foundation. The fundraising campaign leads up to and culminates in fundraising party on October 14. It’s open and free to Pacific West families and anyone interested in fun, family activities for charity. Help us reach our goal! ← Nominate your favorite teacher!